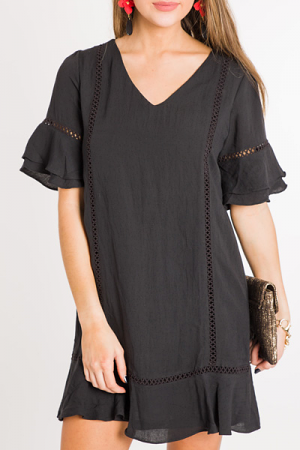 Classic black and sweet ruffled details come together to make this super cute and practical dress! The detachable belt accentuates your waistline for a flattering and adjustable fit. Dress is lined and has a pull-on fit with a keyhole button neck.